The hot summer sun beats down on my back as I climb the trail to the ridge. Looking for a place to wait for my hiking companion, I find a grove of quaking aspen. Their distinctive white bark is beautiful and their leaves rustle at the hint of a breeze. They do not offer much shade, so I instead opt for the shelter of a much larger ponderosa pine. Compared to the sturdy trunk of this pine, the aspen stems appear slender, fragile, and not quite mature. This stand of aspen, however, is probably much older and much larger than my pine. 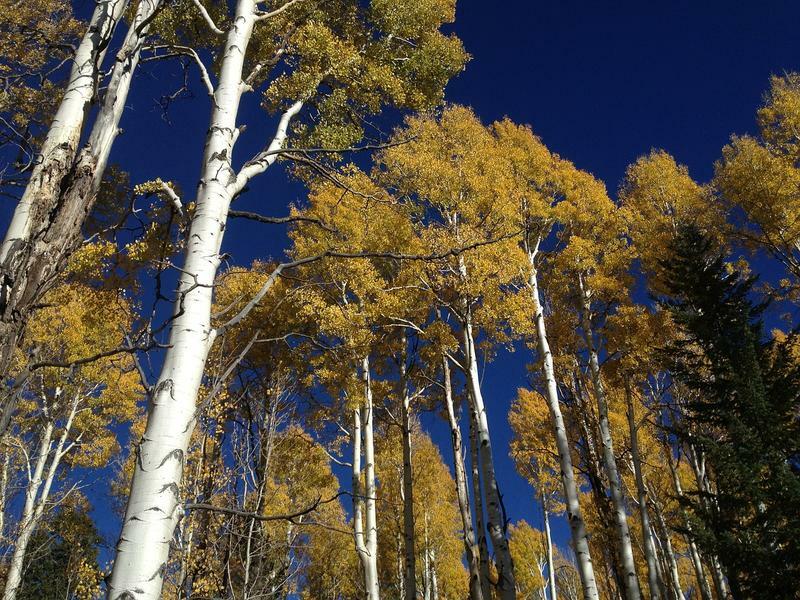 In fact, aspen are some of the largest and longest-lived organisms on the planet.